2. Fitting for EDM Drilling machine,wire cut machine and CNC machine . Packaging Packed in Plastic bags with Foam or as required. 3. Customer's requirement is welcome. 1. We will maintain effective and efficient communications with our customers. 2. We provide first-class quality control and after-sale services. with quality after-services, so as to protect all customer interest. 1. W/EDM spare parts: wire guide/diamond guide, water nozzle, power feed contact, isolator plate, rollers, belt, cable wire, guide base. guide,collect, high press pump, rotational head, motor. 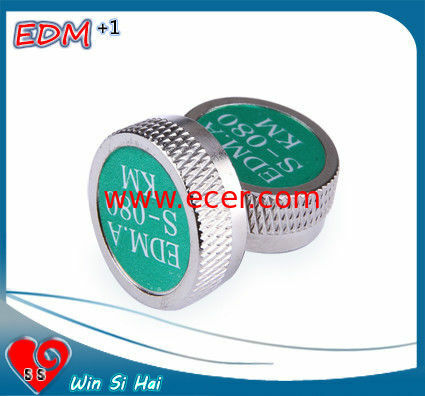 EDM moly wire/Molybdenum wire, EDM rust remover,EDM filter. full range WEDM Spare Parts . It is available to make Customized items . products is tested one by one before packing and delivery. to solve the problems of products after sales. experience on exporting products to difference counties. Our main market is America,Europe,Asia. Chmer, Accutex, Japax, ARD, Brother, ONA , Hitachi, SPM, Makino, Maxi, Seibu,Drilling machine, etc.